Note: I received a 2013 Mitsubishi Outlander Sport SE AWC to test drive around town for one week in order to facilitate my honest review. No monetary compensation was received and all opinions are my own. If you’ve read any of my previous car reviews before, you’ll know that I am not a car expert. A lot of the technical mumbo-jumbo goes in one ear and out the other, so I like to focus my reviews on comfort, affordability and ease of use, particularly from a mom’s point of view. My initial opinion of the Outlander Sport was that it was a completely comfortable fit for me. You know how some cars just feel right? Whether it was the comfort of the driver’s seat or the ease of finding the buttons and knobs that I needed or the smooth driving conditions…I don’t know. I suppose it was a combination of the right features and handling. It just felt like the car was made for me. 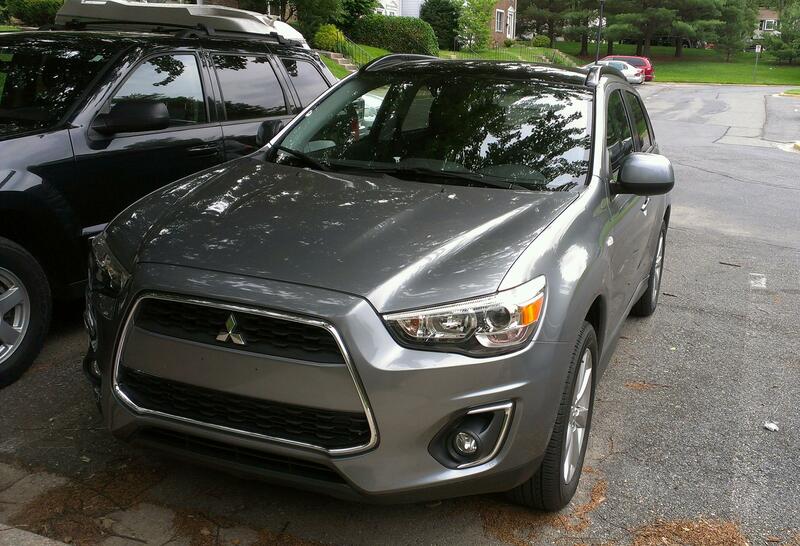 The Mitsubishi Outlander Sport is a 5-passenger, 4-door CUV with adequate legroom and cargo space. I would imagine the Outlander Sport being perfect for a single person all the way up through marriage and a few kids. And based on the Outlander Sport’s excellent scores on the Government 5-star safety rating scale (it received all 4 and 5 star ratings for frontal crash, side crash, rollover and overall vehicle safety) it is an excellent choice for keeping all your precious cargo safe. In addition to safety, the Outlander Sport rates well on fuel economy, getting up to 24 mpg city and 29 mpg highway and a combined 26 mpg. That’s an estimated fuel cost savings of $1350 per year compared to the average new vehicle. The 2013 Mitsubishi Outlander Sport has a starting price of $19,170 to $24,895, depending of course on the trim and features you select. The Outlander Sport comes in several trims: Outlander Sport ES 2WD or AWC, Outlander Sport SE 2WD or AWC, and the Outlander Sport LE 2WD or AWC. I test drove the SE AWC trim. One of the features I enjoyed the most on the model that I test drove was the panoramic glass roof with LED illumination (funny story–it took me a couple of days of driving around before I realized that a particular button was turning the mood lights on the sunroof on and off…Possibly because I was driving around by day most of the time). When they say panoramic, they mean panoramic. To say it’s big is an understatement. When I drove with the sunroof open to let the light in, I noticed that I was appreciating the beauty of the sky and the trees even more than I normally do. 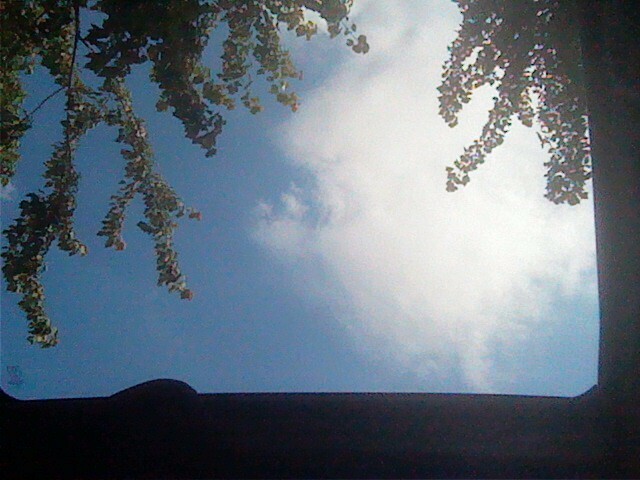 I tried several times to capture that beauty, but cell phone pictures of the sunroof just didn’t do it justice. I also appreciated the navigation with rear camera system – the view from the screen was fantastic, making it so much easier for me to back up, and the navigation system was both easy for me to control and easy for me to follow. Since I was driving the Outlander Sport during June, I enjoyed the air conditioning with micron filter, and the automatic climate control was a huge plus. I definitely didn’t have a need to utilize the heated front seats or the heated side view mirrors, but I know I would have enjoyed those features during the winter months. And since June is one of our rainier months here in Maryland, I thought that the rain sensing wipers were a very helpful feature. As I looked back on my test drive period, I honestly couldn’t think of anything I didn’t like about the car…and that is saying a lot. All in all, I thoroughly enjoyed the week that I spent with the 2013 Outlander Sport and would recommend it to anyone in the market for a smaller sized SUV/CUV. The rear camera is a great feature. I love an SUV, but had to give mine up with 3 girls. That is such a gorgeous car! I would love the read camera function, makes backing out so much easier! This is totally a cute little ride. I wish my camera had one of those cameras for backing up. My car does beep though if I am near something. I love my rear camera! I’m not sure how I survived backing up without it LOL! Looks like a nice ride.